Wilson Sporting Goods Company is one of the most recognizable sports equipment brands in North America. A wholly owned subsidiary of the Amer Group, located in Helsinki, Finland. Wilson has developed a strategy to create products that will improve an athlete’s performance, an approach that emphasizes innovation. Wilson Sporting Goods manufactures high-quality products for team sports, including basketball, baseball, football, soccer, and volleyball; racquet sports such as tennis, racquetball, and squash; and golf. Wilson also produces footwear, team uniforms, and both high-tech and mass-appeal sports apparel. USA Volleyball (USAV) is the National Governing Body for the sport of volleyball in the United States and is recognized as such by the Federation International de Volleyball (FIVB) and the United States Olympic Committee (USOC). The vision of USA Volleyball is to be acknowledged as the world leader in volleyball. UnitedHealthcare is an operating division of UnitedHealth Group, the largest single health carrier in the United States. As a recognized leader in the health and well-being industry, we strive to: Improve the quality and effectiveness of health care for all Americans, enhance access to health benefits, create products and services that make health care more affordable, and use technology to make the health care system easier to navigate. At UnitedHealthcare, we are committed to improving the health care system. Health First is a state of the art chiropractic center providing the most talented chiropractors in NC. Each patient will be treated like a member of our family and will receive the best of care. At Health First our goal is to offer relief of pain while working to correct the cause of your condition and maintain your health, with you as an active participant. The most successful health program is devoted to both healing and restoration of complete function. LRNC specializes in printing and imaging supplies and carries products for almost every type of application. We provide technical service for printers, copiers, and fax machines and literally thousands of products, from pencils to office furniture to paper towels. LRNC provides peace of mind by ensuring that the equipment our customers purchase continues to provide value long after the sale. Our trained specialists offer expert advice on the right product for any office need. Let LRNC prove to you why we’re the service difference!. Overhead Door is one of the most-recognized and respected brands in the garage door industry. With our nationwide network of more than 450 authorized Ribbon Distributors, we are a leading provider of overhead and garage door systems, and we continue to lead the way with innovative solutions and unmatched professional installation, service and support that keeps customers coming back. Dehydration is commonly caused by sports and exercise because physical activity speeds up the loss of fluids and electrolytes in the body. During an intense workout, an athlete can pour out up to a half gallon or more of fluids through sweat. And when these fluids and electrolytes aren’t replenished quickly enough, dehydration sets in. Athletes deserve better than sugary sports drinks. That’s why more and more top athletes use DripDrop to perform better and recover faster. Power Balance™ is the leading performance technology company with a passion for competitive sports pursued with the powers of Eastern Philosophy and Western Science along with Innovative Technologies to deliver products that improve and enhance people’s lives. That idea became a company called POWER BALANCE™, the creators of the Power Balance™ silicone wristband. AVP America is the largest grassroots outdoor volleyball organization in the United States. Created in 2011 by East End Volleyball and Great American Volleyball, AVP America has over 100 member organizations from throughout the US. In 2017 there were 22,000+ dues paying members from 45 states and 10 countries. The goal of AVP America is to foster cooperation among beach & grass volleyball promoters throughout the US to build up the sport. Riders aren’t just a flip flop or a slide. They’re an attitude, a reflection of a more laid-back way of life, and proof that you’re unwilling to settle for less.Rider makes some of the most popular casual sandals available, and millions worldwide adore them. Thoughtfully designed and beautifully durable, Rider sandals and thongs are made to conform to your foot, cushion every step, and accommodate your natural gate.Rider sandals and thongs are crafted in Brazil in some of the most environmentally friendly manufacturing plants in the world, and are the sandals of choice for millions worldwide. Our Unsinkable® sunglasses are made from a unique frame material called VaporLite™ which has the look & feel of ordinary sunglasses but are 20% lighter, allowing them to float. Now you can get out on the water and go paddling, surfing, fishing, kayaking or just relaxing knowing that your new shades are Lighter than Water™. And by the way, if they happen to float away on you, don’t worry because we have you covered with our ground breaking Lifetime + Loss™ warranty. Kauai Bikini makes the best bikinis in the world. Our bikini store forever changed the scene on the Hawaiian island of Kauai. Today our high performance bikinis are exploding in popularity in the beach volleyball world. Our Hawaiian Performance Top and Brazilian cut Shipwreck bottom are becoming the uniform of beach volleyball. Park and Sun Sports® set the standard for upper end outdoor volleyball net systems over thirty years ago with its telescopic, aluminum standards that adjust to three playing heights (men – 8’, women – 7’4″, and coed – 7’8″), and the original slip on sleeve net design. The quality and innovations of these volleyball net systems continues as the Spectrum Classic™ and Spectrum™ 2000 still remain perennial favorites of tournament directors and competitive players. The Spectrum™ series unsurpassed for quick set-up and portability. Park and Sun Sports® – Demand the original demand the best portable outdoor volleyball net systems for beach volleyball or grass volleyball. The beachBUB umbrella system was created by Bill Shermerhorn out of concern for the safety of others after a child was injured by a runaway umbrella on the beach. Today, it is the #1 rated beach umbrella on Amazon. In July of 2016 Consumer Reports rated the beachBUB Beach Umbrella System as their “Best Of” for beach umbrellas that won’t blow away. To date, beachBUBs have been sold in all 50 states and in 7 countries. 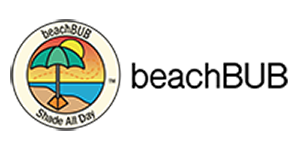 beachBUB USA is actively working with resorts, beach umbrella rental companies, municipalities, colleges, universities and sports programs who have seen the benefits of an easy to use and quality product. Our continued focus for beachBUB USA going forward is to bring community awareness to the dangers of Flyaway Umbrellas. The beachBUB Beach Umbrella System is making it easier for people to use and enjoy a very much needed product for the beach. Founded by Chip Wilson in Vancouver, Canada in 1998, lululemon is a yoga-inspired, technical athletic apparel company for women and men. What started as a design studio by day and yoga studio by night soon became a standalone store in November of 2000 on West 4th Avenue in Vancouver’s Kitsilano neighbourhood. Our vision for our store was to create more than a place where people could get gear to sweat in, we wanted to create a community hub where people could learn and discuss the physical aspects of healthy living, mindfulness and living a life of possibility. It was also important for us to create real relationships with our guests and understand what they were passionate about, how they liked to sweat and help them celebrate their goals. Today, we do this in our stores around the globe. In the world of physical and occupational therapy, CORA stands alone. No one is more cutting-edge and results-driven. No one is more thorough. No one is more geographically desirable. And no one gets patients back to life as quickly and healthfully as we do. We communicate. We identify and achieve outcomes. We respect costs. We grow. We share. And we laugh. (Not coincidentally, the best medicine!) Our therapists are the most sought-after in the industry, and we keep them that way with continuing education and funding for advanced degrees and certifications. Every decision we make, every new facility we open, every advanced technology we employ, is added mindfully to benefit each member of our CORA Community: the patients, staff, physicians, payers, and partners in the neighborhoods we serve. For all of you, we offer our commitment to an exceptionally seamless, professional, accessible and transparent experience, consistently delivered with care. And that’s how we do getting better, better. Are you ready to perform beyond your limits? Get started with your mission call today! We all want to change and improve our health/fitness/performance. But not everyone is ready for the journey. Not all companies understand or have the tools to build the map for your success. We build skills that change lives. All in one place…no matter what! Charlotte’s Only training facility with a full time Sports MD. We are the proud home of Sporting Institute and Dr. William Graham’s services.